One of Wyzant's Top 100 tutors. Susan loves tutoring math! She's professional & patient. She has a passion for tutoring & works great with students as she wants them to be successful. She has over 13,500 hours tutoring full-time and is extremely experienced. She tutors all levels of math, Common Core, pre-algebra, algebra I,II, geometry, pre-calculus, trigonometry, and college algebra. She also successfully and effectively tutors for the ACT / SAT math, PSAT and ISEE exams, and ASVAB test. 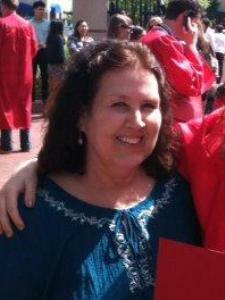 Susan also tutors Spanish levels 1 and 2, elementary K-6, and study and organizational skills. She reviews the homework with the student to assure they understand it, and she will teach them the next lessons so they stay ahead. Susan will also prepare them for any upcoming quizzes, tests or exams. She structures her tutoring sessions to meet the individual needs of the student. Students learn in different ways, so she includes visual aids during all her sessions. As far as grade school tutoring, Susan also works very well with younger children to prepare them in reading, vocabulary, grammar and phonics so they can excel in school. She has developed an excellent program for the younger children that has proven successful! The parents love it as her students are at the top of their class. Susan is a professional tutor that works 7 days a week and is devoted to her students. She has a passion for teaching and enjoys seeing the "light bulb" go on when the student "gets it"! She has developed programs for the summer sessions that include a concentration of material for the subject and an intense review as necessary to prepare the student for the upcoming school year. Her younger, elementary students do extremely well in their classes as they excel in reading, math and grammar, etc. Her middle school and high school students have raised their grades since working with Susan. These students have developed a positive attitude toward their education now. Susan also works with the student to teach them proper study skills and organizational skills. Parents and students alike are delighted and very satisfied with Susan's program and tutoring. Rate details: PLEASE NOTE TRAVEL POLICY: Due to possible traffic and travel constraints, tutor should arrive within 15 minutes of scheduled time. I love teaching grammar! I am a natural teacher. Teaching comes easy for me, and I explain concepts in a way the students really "get it". Whether it be to the younger children or someone who needs to brush up on the English grammar or to a non-native speaker who needs to learn English, I do it all. I am very patient, kind and caring. It is so important to me that your student learns to be the best student they can be. I am very experienced and have been tutoring for over 8 years and logged over 9,412 hours to date in tutoring. I have a passion for teaching the younger children to read, write and do math very early on in the school years. This is SOOOO important to get a head start in their education as learning the skills early will help them succeed in their other subjects. I work with the student on all English grammar, subject/predicates, punctuation, sentence formation, phrases, nouns,verbs, adjective, adverbs, pronouns, verb tenses, phonics, phonemes, diphthongs, vowel pairs, analogies, diagramming sentences, etc., as necessary. I also work with them on spelling, vocabulary, and writing, paragraph formats, and how to outline and do rough drafts - depending on the grade level. With the younger children, I try to make learning fun and change it up to keep their attention and focus. If you need a really great grammar tutor, well, I would love to be that tutor. Just simply contact me, and we can partner to get your student on the road to success! Spanish: I love tutoring Spanish. I have successfully tutored Spanish 1, 2 and 3 to many middle-school and high school students both in public and private schools. I work with them on vocabulary, grammar, writing, and speaking. Many schools, I find, do not work very much on proper pronunciation and inflection - I do. I make sure the student thoroughly understands the grammar concepts and verb tenses. In Spanish 2, it can be very rigorous as in this level; they work on many types of verb formats and tenses. This can be overwhelming for the Spanish 2 student, so practice, practice, practice is the key. I have been told that I am a natural teacher and explain the concepts in a way a student easily understands. I am very patient, kind and caring. I have worked for many years successfully tutoring the Common Core Curriculum in both math and English to many students. My experience with the Common Core curriculum has spanned several different school districts in Orange County, CA. Most students struggle with explaining and detailing the solutions and procedures to the problem or question. I break down the problem so the students can easily understand the question before them. I also demonstrate similar problems to make sure the student understands. One of Wyzant's top tutors! Professional, experienced, & happy tutor. Susan LOVES teaching children. She is a natural teacher. She teaches all levels of K-6. Susan is very familiar with Common Core curriculum. She especially works with the children to help them achieve proficiency in math and reading. She has developed her own successful program for reading, phonics, grammar, spelling and writing. She encourages the students to complete tutoring assignments throughout the week to strengthen their skills. She is an excellent math/reading tutor and works tremendously well with younger children. She has a passion for teaching. Her students are very successful. She is a very patient and caring tutor. She believes learning math & reading at an early age is the absolute KEY to their success in Jr. High and High School math classes. She has worked for many years with students and their families through the summers and school years, and she has seen her students at the TOP of their class - and they usually remain at the TOP with continued, weekly reinforcement in math/reading learning. She is typically fully engaged in a student's learning environment, as she stays current with what they are working on and need to know. She believes in preparing ahead of time and challenging the student. This reinforces the learning in class and helps the student understand their homework on the days she is not tutoring them. She has a huge amount of resources and materials available to her and brings them to the tutoring sessions as needed. She believes in your student and every student - that they can learn the material and be successful and thereby gain confidence in their ability to do the work. Susan believes in positive reinforcement and positive encouragement. She wants your student to be successful and gain a positive attitude toward learning. Susan has been tutoring for over 11 years, full-time, and has logged over 10,560 hours tutoring. She knows how to properly tutor for her students to achieve success. A student benefits most from a working partnership between tutor, student and parent- all working together toward the same goal: The student being the best student they can be! I am an excellent math tutor and work tremendously well with younger children. I have a passion for teaching. My students are very successful. I am a very patient and caring tutor. I believe learning math and reading at an early age is the KEY to their success in Jr. High and High School math classes. I have worked for many years with students and their families through the summers and school years, and have seen my students at the TOP of their class - and they usually remain at the TOP with continued, weekly reinforcement in math/reading learning. I am typically fully engaged in a student's learning environment, as I stay current with what they are working on and need to know. I believe in preparing ahead of time and challenging the student. This reinforces the learning in class and helps the student understand their homework on the days I am not tutoring them. I have a huge amount of resources and materials available to me and bring them to the tutoring sessions as needed. I believe in your student and every student - that they can learn the material and be successful and thereby gain confidence in their ability to do the work. I believe in positive reinforcement and positive encouragement. I want your student to be successful and gain a positive attitude toward learning. I have been tutoring for over 8 years, full-time, and have logged over 9,410 hours tutoring. I know how to properly tutor for my students to achieve success. Learning phonics early as a student is vital to being a successful reader. I work with the student through workbooks, flashcards, writing exercises, visual aids and assessments to learn phonics well. I teach them proper pronunciation, long & short vowels, diphthongs, consonant blends, vowel pairs, prefixes, suffixes, phonemes, synonyms, homonyms, antonyms, etc. I challenge them to learn more and appreciate learning. I instill in them a desire for learning and to do their best. When I work continually with a student, that student is usually at the top of their class and has developed a positive attitude toward learning. I have worked well and successfully with students to help them develop and use proper study skills, from preparing flash cards, outlines, proper note taking, diagramming, etc. I show the students how to properly prepare for a test and quiz. I have developed a check list for test-taking skills which I review with the student prior to a test. I review the student's notes and binder for organizational guidance, and review the student's homework planner on a daily/weekly basis as needed. If given the opportunity, I review the student's test/and or quiz to make sure they understand their mistakes and give them suggestions on how to correct these mistakes and be better prepared. I also teach the student how to prepare a time-management plan to obviously make the best use of their time. I want your student reach their full potential. I believe and have faith in every student. One of Wyzant's top tutors! Susan is an excellent Algebra tutor. Her students are successful and increase their grades. She works with them on study skills and test preparation. She also makes sure they understand their HW and, if time allows, she will prepare them on the next few lessons. She brings a whiteboard and other materials with her to help the student visualize the lesson better. Her students have gone to the Math Olympics, and one placed second! She is professional, patient and caring and wants to see your student succeed! Susan is very experienced and has been tutoring for over 11 years and logged over 10,560 tutoring hours. Susan loves tutoring Algebra 2 and knows Common Core math. She is an excellent, patient and caring tutor. Susan has a passion for teaching math with over 12 years experience tutoring Geometry. Her students excel in learning math and have raised their grades considerably after she works with them. She makes sure they understand the material, not only the lesson that day, but the prior lessons as well. One of Wyzant's top tutors! She is very experienced in tutoring Pre-Algebra. She knows exactly what the Pre-algebra student needs to know. Susan is very knowledgeable with Common Core Math. For those students trying to test-out of Pre-algebra, she covers all the categories they would need to know. She teaches in a way the student readily understands the concepts. She also has access to test copies of the State standards tests and Smarter-Balanced (Common Core) tests for her students to do to make sure they understand all aspects and concepts the State expects them to know. Many students are visual learners, so she works with a table-top white board to visually work out the problems and concepts. She teaches her students her "Quick-Math" method, to the learn easy concepts on how to do the problems accurately. Susan also show her students how to properly check the work. Susan is very experienced and has been tutoring for over 11 years and logged over 10,560 tutoring hours. One of Wyzant's top tutors ! Susan is a fantastic Precalculus tutor and passionate about teaching math. She enjoys tutoring this subject. She completely and clearly explains the concepts, prepares the student for any upcoming quizzes or tests, and prepares them for their final exam. In Precalculus, the student typically needs to know everything about trigonometry ( She loves teaching trigonometry). Trig can be hard for some students, but she explains the concepts in a simple way and demonstrates the Unit Circle. Many teachers don't explain in detail how the Unit Circle works with trig - but Susan does. All of her students that she has tutored in Trig and Precalculus have received A's on their exams. Also in Precalculus, she thoroughly explains the functions, exponential/logarithmic functions, matrices, limits, derivatives, and integrals as necessary. Susan is very experienced and has been tutoring for over 11 years and logged over 10,560 tutoring hours. If you are looking for a great precalculus tutor, then you are going to be very satisfied with her services. If you are looking for a fantastic SAT math or ACT math tutor, well, I can really help you. I love tutoring and am very passionate about teaching math. I want all my students be successful with math. I have tutored many, many SAT and ACT math students to their success! I really know how to prepare the student. Typically, the SAT math student will need to know all of his/her math through Algebra 2 and some pre-calculus/trig. Many of the SAT or ACT math problems do not take a lot of time to do. The problems are set up in such a way that the student should be looking for the obvious, ie: when something is equal to 0 or 1, or what makes the problem less than 0, or what Domain values are excluded, or when something is less than or more than half. Also, many of the problems do not take a lot of work as these can be solved logically. I show the student how to do these and to think logically about the problem. Train your brain !!! So, if you need a really great SAT or ACT math tutor who is experienced and knows how to teach properly, I would be glad to tutor your student. One of Wyzant's top tutors! She has been tutoring over 11 years with over 10,950 hours logged. If you are looking for a fantastic ACT math tutor, well, she can really help you. She loves tutoring and is very passionate about teaching math. She wants all her students be successful with math. She has tutored many, many SAT and ACT math students to their success! She really knows how to prepare the student. Typically, the ACT math student will need to know all of his/her math through Algebra 2. Many of the SAT or ACT math problems do not take a lot of time to do. The problems are set up in such a way that the student should be looking for the obvious, ie: when something is equal to 0 or 1, or what makes the problem less than 0, or what Domain values are excluded, or when something is less than or more than half. Also, many of the problems do not take a lot of work as these can be solved logically. Susan shows the student how to do these and to think logically about the problem. Train your brain!!! So, if you need a really great SAT or ACT math tutor who is experienced and knows how to teach properly, Susan would be glad to tutor your student. One of Wyzant's top tutors! I love tutoring and teaching trigonometry. I have a passion for it. I explain trigonometry in such a simple and clear way with lots of examples that the student really "gets it." I am a very patient, kind and caring tutor. I really want your student to succeed. I am very experienced and have consistently tutored full-time for over 8 years and have logged over 9,412 hours to date. In school, many teachers just don't have the time or patience to work with the students to really explain trigonometry. I totally explain how the Unit Circle works with many examples. After this, the student completely understands how it all works and is surprised how easy it is. I also teach the students how to think logically about the problem and teach them ways that they can check their own work. After working with my students, they are successful and do extremely well on their exams. I can review all their lessons and chapters with them. I will also prepare them for any upcoming quizzes, tests or final exams. If you are looking for a fantastic trigonometry tutor, well I am the one. I will help you or your student be successful in this subject and easily understand it. Just simply contact me so we can partner toward success! I already work with other students who are trying to pass their GED. All the students who I have tutored have been successful with my tutoring for the GED. I am one of Wyzant's top tutors and very experienced. One of Wyzant's top tutors! I am an excellent ASVAB tutor and AFQT tutor. I have tutored other candidates for this exam and all have been successful in passing with a great score. I have also tutored ASVAB candidates who desired to improve their score to get into the Special Forces. All those candidates were successful after I tutored them. I first focus on making sure the student is prepared for the AFQT (qualifying test) in the 4 core area subjects of (English vocabulary, comprehension, math word problems and arithmetic knowledge). I make sure my students are strong in all aspects of the tests, especially the algebra and geometry parts which many students need help in. I am a very patient, caring and a very experienced professional tutor. I have tutored over 11 years now, full-time, and have logged over 10,560 hours tutoring. The ISEE exam is an Independent School Entrance Exam and consists of 3 levels: Lower Level (students going into 5 or 6 grade), Middle Level (students going into 7 or 8 grade), and Upper Level (students going into 9 thru 12 grade). Each exam is a 2 hr. 20 min exam consisting of multiple choice questions including a 30 minute essay section. The essay portion is not scored, but a photocopy for review is sent to the school of choice. You may take the test once within a 6-month period. There is no penalty for incorrect answers. The schools use the ISEE as one one item of the student profile to consider the applicant. I have successfully prepared students for this ISEE exam for which they were accepted by the particular school. I prepare the students by reviewing and working through the ISEE practice exams and also reinforce with additional work any areas the student is lacking in. I provide additional math and English support as necessary. My son has worked with Susan since October, and I cannot express enough how much she has helped him. We have had tutors for our son for years, and we weren't going to stop until our son achieved his goal and dream. Yesterday that dream was reached!!! Several attempts were made in the past to pass this one test for a job, and he was never able to reach that number. He has worked with a lot of teachers. He blew it out of the water yesterday, and that was achieved because he had an outstanding teacher that showed she truly cared!!!!!! I would recommend Susan ten times over to anyone. From the absolute bottom of our hearts Susan, thank you so much for everything and God Bless. Susan brings a sense of comfort to learning which is exactly what my son needs. While she seemed to still hold him accountable the combination I believe is what makes a good teacher. I am very excited to see the progress she can make with my son. With just one session under our belt, I am very hopeful. Susan came prepared and with a warm attitude. She was able to hone in on what my daughter needed quickly and deliver the lessons in a way that was open and kind. The session was very helpful. Today is the first class. Susan is well prepared with all the materials and exercises. She quickly evaluated where my is in her reading and writing. My daughter likes her. My daughter really likes working with Susan. She patiently explains concepts and gives her a chance to try them on her own. My daughter says she's a great teacher. Preparing our daughter for her upcoming ASVAB exam. Our daughter enjoyed her teaching style and felt very comfortable with her personality...looking forward to a great score on her exam! My daughter went from D's to A's while working with Susan on Algebra 2. We were worried she would get a D in the class and have to take summer school. Instead her grade in class rose to a B.
Susan was helping me learning math and she made it easy and understandable. I learned a lot in a short period of time and she was able to hold my attention the whole time. She made my son understand the lessons and made some problems understandable. My son is very visual, and it was a plus that she brings her white board with her. Great tutor! Susan is very professional, courteous and most importantly in our son's words "the best" tutor. She was able to develop a connection with our son in his first lesson and help him to develop a better understanding of how to solve problems. He is looking forward to his next lesson as well as continued progress.